When a commercial airliner is blown out of the sky off the East Coast, the CIA scrambles to find the perpetrators. A body is discovered near the crash site with three bullets to the face: the calling card of a shadowy international assassin. The extraordinary new Gabriel Allon novel from the "gold standard" ( The Dallas Morning New) of thriller writers. Over the course of ten previous novels, Daniel Silva has established himself as one of the world's finest writers of international intrigue and espionage- "a worthy successor to such legends as Frederick Forsyth and John le Carré" (Chicago Sun-Times)-and Gabriel Allon as "one of the most intriguing heroes of any thriller series" (The Philadelphia Inquirer). One such man is Ivan Kharkov, a former KGB colonel who built a global investment empire on the rubble of the Soviet Union. Hidden within that empire, however, is a more lucrative and deadly business: Kharkov is an arms dealer-and he is about to deliver Russia's most sophisticated weapons to al- Qaeda. Unless Allon can learn the time and place of the delivery, the world will see the deadliest terror attacks since 9/11-and the clock is ticking fast. Filled with rich prose and breathtaking turns of plot, Moscow Rules is at once superior entertainment and a searing cautionary tale about the new threats rising to the East-and Silva's finest novel yet. ©2008 Danie Silva (P)2008 Brilliance Audio, Inc.
A pretty good story, but why, oh why, can't the producer/director or whoever is responsible get a reader who can properly pronounce French, Yiddish, Hebrew, Russian and Italian words, all of which are part of the story? A 'chupah' is not a 'chewpaw', etc., etc. It is most annoying and disrupts the flow of the story. The same problem exists with other readers of some other of his books (not all) -- and it's a shame. Don't let the reviews about the narrator keep you from listening to this book. It was thrilling and worth my time. If you start with this book, you will want to download all of them. I recommend starting first with Prince of Fire, The Messenger, and the Secret Servant and then The Moscow Rules. Like me, I hope Daniel Silva's is busy writing the next adventure for Gabriell and his co-hearts. Enjoy! Once again author Daniel Silva has taken Gabriel Allon on an impossible adventure and once again Gabriel, with the help of the Israeli secret service, has succeeded and the world is a better place. This time Gabriel finds himself fighting the corruption and avarice of Russian oligarchs and former KGB "thugs." 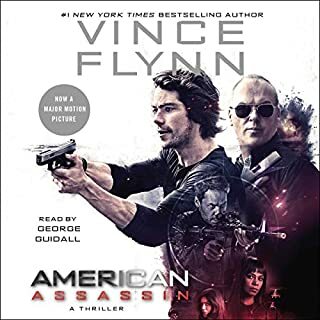 The story is well paced, the scrapes Gabriel finds himself in nearly impossible to get out of, but only nearly, the bad guys generally very bad, and Gabriel gets some much needed help from well placed Russians who care about their country's future. All in all a page turner that thriller fans will enjoy. A good listen... I wanted to give it 5 stars because I love the series, but it wasn't quite as exciting as the previous books. Same as the previous reviewer, I was very disapointed in the narrator... it's hard to change after the wonderful narration that John Lee gave to Silva's previous books... However the story is very good, and maybe the narrator isn't so bad ... It just felt like a new set of characters, and I missed the old ones. Not very engrossing. It seemed predictable. No hidden mystery. I've read and listened to quite a few Gabriel Allon books, and have enjoyed them all. But i have to say that this one was just "fair". If i could give it 2.5, i would have. I can't put my finger on why it wasn't as good as the prior novels, it just felt like things were more forced and contrived in this one. Everthing was too neat maybe... 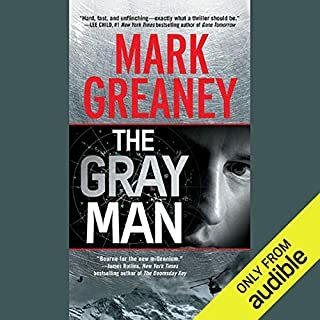 I might chaulk it up to being bored with the series, but i think i enjoyed the last one i listened to (A Death in Vienna) the best. This one, Moscow Rules, was definitely not his best. The narration was fine. 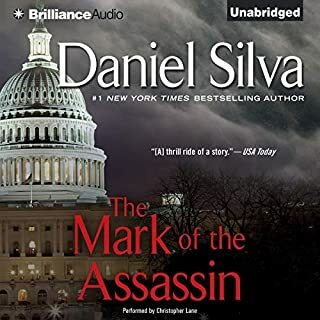 It seems anything from Daniel Silva is just awesome. I would love to find other authors to compete with this. You know, sometimes you just wish you hadn't bought a book. This is one of those times. I just couldn't spend the time after the first half. Better luck next time. 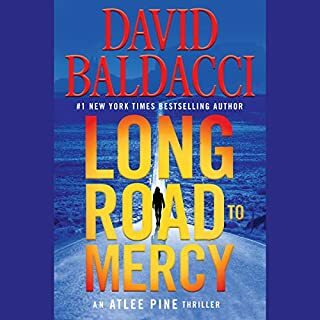 As with every audio book, the narrator makes a big difference. 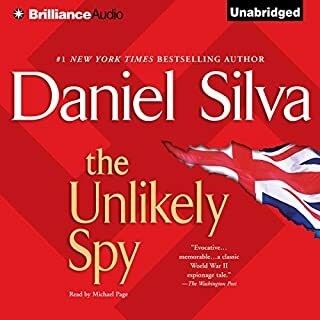 Phil Gigante has narrated several of Daniel Silva's books and aside from some idiomatic/language details, he does a great job. He articulates well, speaks at a good pace and changes his tone appropriately. Please remember, this is not a production, or a radio show. You have to keep paying attention to the plot and who is involved in the conversation. 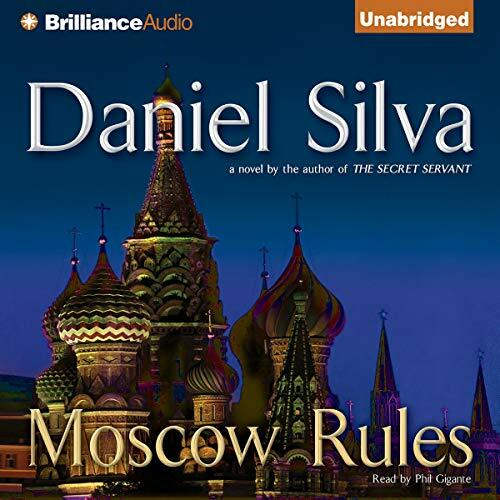 Daniel Silva keeps things rolling at a good pace and as usual, his descriptions of places, people and events are very detailed. I've been following Gabriel Allon since his first visit to Vienna and have purchased every book since then. I can't wait for the next installment in the series.